HP 8510p GB958EA#ABD 15,4'' WSXGA+ T7500 2GB 120GB UMTS WWan X2600 DVDRW FP BT 3J.Gar. VistaBus. HP 8510p CTO T7500 15,4'' WSXGA+ 2GB 120GB WL BT HD2600 XP-Prof 3J.Gar. HP 8510p GR539AW#ABD 15,4'' WSXGA+ T7700 2GB 120GB X2600 DVDRW FP BT 3J.Gar. VistaBus. LIFEBOOK E8420CTO 15,4'' WSXGA+ P8600 2GB 250GB DVDRW X4500 WinXP 2J.Gar. Thinkpad Z61m UA0HAGE 15,4" WSXGA T7200 1GB 120GB X1400 BT XP-Prof. 1J.Gar. Thinkpad T61 CTO 15,4" WSXGA+ T7500 2GB 120GB X3100 6c WinXP 3J.G. HP 8510w GC1CTO#ABD T9300 15'' WSXGA+ 2GB 200GB-7200 WL BT FX570M hdmi XP-Prof 3J.Gar. HP 8510w CTO T7700 15,4'' WSXGA+ 2GB 120GB WL BT FX570M XP-Prof 3J.Gar. HP 8510w GC1ATI#ABD T9300 15'' WSXGA+ 2GB 200GB-7200 WL BT ATI-V5600 hdmi XP-Prof 3J.Gar. HP Elitebook 8530p FU457EA#ABD 15,4'' WSXGA+ T9400 2GB 250GB HD3650 UMTS VistaB +XP 3J.Gar. 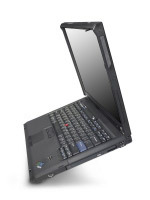 Thinkpad T61 NI09WGE 15,4" WSXGA+ T8300-2,4 1GB 120GB DVDRW FP BT 6c abg *Linux* 3J.Gar. HP Elitebook 8530w FU462EA#ABD 15,4'' WUXGA T9600 2GB 320GB FX770M WinXP+VB 3J.Gar. HP Elitebook 8530p FU459EA#ABD 15,4'' WSXGA+ matt T9600-2x2,8 4GB 250GB HD3650 UMTS *WinXP* 3J.Gar. Thinkpad T60p UO0C4GE 15,4" WSXGA T7600 1GB 100GB V5250 XP Prof. 3J.Gar. Thinkpad T60p UO0C2GE 15,4" WSXGA T7400 2GB 100GB V5250 9cells XP-prof. 3J.Gar. Thinkpad T60 UO0G5GE 15,4" WSXGA T7600-2,33 1GB 100GB X1400 DVDRW FPrint BT 3J.Gar. Vista-Bus. Thinkpad T60p UO0C3GE 15,4" WSXGA T7600 2GB 100GB V5250 WL BT 9c. XP-Prof.
Thinkpad T60 UO0G4GE 15,4" WSXGA T7600-2,33 1GB 100GB X1400 DVDRW FPrint BT 3J.Gar. Vista-Bus. Thinkpad T60p UO0J3GE 15,4" WSXGA T7600-2,33 2GB 100GB V5250 DVDRW FPrint BT 3J.Gar. Vista-Bus. HP Elitebook 8530w FU463EA#ABD 15,4'' WUXGA T9800 6GB 320GB-7200 FX770M Win7P+XP 3J.Gar.